and confidence. Uncover how to take your practice performance to meets! Designed Specifically for Figure Skaters, Parents, & Coaches! Dr. Patrick Cohn (over 24 years of experience as a mental game expert) with Ashley Glassco share with you powerful mental strategies to help you perform your best in competition. Around 7th grade, my figure skating career became more serious for me. I felt more pressure in competition. Competing had more significance because I was entering new levels where I had the chance to qualify for provincial and national competitions. I needed to improve my mental toughness. My mental game was not strong enough to help me succeed and perform my best at competitions. This is when my mother and I contacted Dr. Patrick Cohn. After working with Dr. Cohn for a few months, I realized that my mental game was not as good as I thought it was and I had a lot of work to do. Like many other figure skaters, I was a perfectionist. We’re taught to strive for perfection in our skills and programs every day. Once I realized how this type of thinking was hurting my performance, I worked hard to overcome the problems with perfectionism. In 2011, I qualified for the Ontario Winter Games, and Challenge in Regina, Saskatchewan (A national competition in Canada). This was a result of training my mental game and building my confidence with Dr. Cohn. Most competitive skaters spend 98% of their training on their physical skills. Rarely do they consider working on their mental game. However, once all the training is complete and you enter competition, your mental game is the most important. Dr. Cohn, with my help, wrote “The Confident Skater: Mental Game Strategies for Peak Performance” to help enable figure skaters to reach their full potential. The goal is to help you, coaches, and other figure skaters to develop these crucial skills. Download Your Sample Chapter FREE! We want to help as many athletes as possible. That’s why we’re giving you the introduction and first session of the workbook – absolutely free! Dr. Cohn has helped thousands of elite athletes including top youth, collegiate, and pro athletes from many sports for over two decades–as a mental game coach. Dr. Cohn has been a sports psychology coach to athletes, teams, and coaches worldwide from a variety of sport backgrounds for nearly 25 years. He has consulted with the likes of the Miami Dolphins, A.J. Allmendinger, Brian Watts, and J.L. Lewis. His experience as an athlete, researcher, and sports psychology coach has helped hundreds of athletes as well as athletic coaches, trainers, and therapists identify the mental obstacles that prohibit peak performance. Ashley Glassco is an aspiring student in sport psychology. She has competed in figure skating since she was 4-years-old. Since 2009, Dr. Cohn has worked with Ashley to improve the mental aspect of her training. In 2011, she earned Skate Canada Western Ontario Bronze Medalist for Pre-Novice which qualified her to compete at a national competition, Skate Canada Challenge. She is now competing at the Junior level. In addition, Ashley is in the final stages of earning her Skate Canada coaching designation. We’re on a mission to teach you proven and effective mental game strategies so you can overcome any mental block, take your practice game to competition, and boost your confidence in figure skating. You’ll learn the top eight mental game lessons for figure skaters – the same lessons we teach our personal coaching students, who pay thousands of dollars for our strategies. We’ve made sure that our lessons are easy and effortless for you to improve your mental game. “The Confident Figure Skater: Mental Game Strategies for Peak Performance” CD and Workbook program is ideal for any competitive figure skater. In addition, coaches and parents would also be wise to teach the strategies we provide in “The Confident Figure Skater” to their athletes. Figure Skaters: Get the mental edge by learning how to take control of your confidence, mentally prepare for competition, and perform with composure under pressure. Perfect for figure skaters from ages 8 to 18. What’s Included In “The Confident Figure Skater” Program? “The Confident Figure Skater” is a complete brain dump of the TOP eight mental training sessions we teach our figure skaters to help them boost their mental game and improve consistency – from how to mentally prepare for competition to performing under pressure to building unstoppable confidence. 2 CDs including 8 confidence-boosting lessons on audio. Each 15-20 minute session includes one mental training lesson to help you improve confidence, focus, composure, and develop focused routines. 7 Free Bonuses Worth $160! Are you doing everything you can to help your figure skater succeed? Parents: test how well you support your athlete’s mental game. See if you pass the parenting test! (Bonus Value= $20). Help your figure skater perform with confidence and simplicity, and have fun! Learn the top suggestions for parents to follow prior to competition. (Bonus Value= $20). Learn how to create a positive post-competition experience for your figure skaters! What you say to your athlete after competition is critical to his or her future confidence and success. (Bonus Value= $20). Figure skaters learn strategies to assess your performance after competition so you can have greater confidence! Perfect for figure skaters that are perfectionists or self-critical after competition. (Bonus Value= $30). 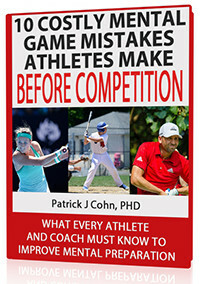 Full interview with Dr. Patrick Cohn and Tugba Karademir about her career and mental game. (Bonus Value= $20). Learn tactics for helping your figure skater buy into mental training! If you are unsure how to introduce mental training to your figure skater, this eBook is perfect for you. (Bonus Value= $30). Value of All Bonuses = $160! Download Your Bonuses After Placing Your Order! “The Confident Figure Skater” 2-CD and Workbook program is the most comprehensive mental game program we’ve offered to the public. We’re virtually giving away all our mental game secrets for the incredibly low price of only $197.00 including the free bonuses! Of course, we’re happy if you instead choose to enroll in our one-on-one mental coaching program! But we understand that not every family can afford $600 a month for personal mental coaching. We stand by our work 100% – we never want you to feel like buying the “The Confident Figure Skater” CD and Workbook program is a gamble. Embrace our strategies and apply it 100% to your performance. If you’re not happy, for ANY reason in the next 30 days, just contact us by email or phone, return the CDs and workbook and we will buy it back. Thank you for taking the time to read about the “The Confident Figure Skater” Audio CD and Workbook Program – the best value to rocket your confidence, focus, and composure to new heights. Please contact us if you have any questions!